If you’re like us then you may have some thank you letters still waiting to be written for presents received over a month ago. 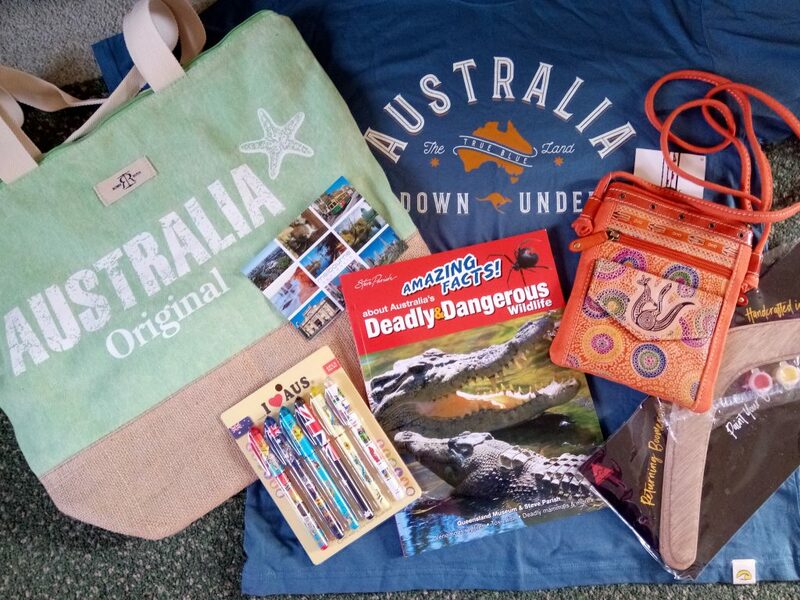 Although funnily enough we actually received some belated Christmas presents all the way from Australia just this weekend. But regards the others, that’s bad isn’t it. Why are we procrastinating about them? I did hear a lovely reason about procrastinators the other night on QI that said studies put it down to people being perfectionists and in their minds it was better not to do something then do it to a standard lower than perfect. I can see the logic in that a bit but it’s not a very good excuse really. 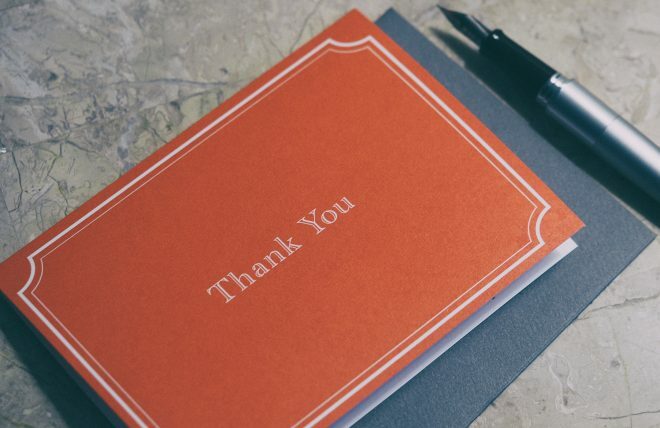 The thank you letter has become a bit of a dreaded concept hasn’t it. Something only “people pleasers” do perhaps, a personality trait that’s perceived as some sort of weakness rather than kindness (as Rihanna would say), like you’ve got nothing better to do. But they so aren’t. I do sort of understand that slight sense of dread about writing them, the “Oh, will the person really mind if I don’t drop them a line?” but I wonder if I’m coming at it from the wrong angle. Perhaps rather than focusing on the gift I should focus on the person that gave it to me. It’s just inertia too I’m sure because the minute I write “Dear (whomever), Thank you so much for the (insert present here)”, and then start to ask about them and tell them a bit about what I’ve been up to (highlights, disasters and all) it really does start to flow. And I realised it doesn’t have to be a 5,000 word essay. I’d also been thinking recently about people I haven’t been in touch with for ages and wanting to write to them. There’s a feeling of “I’ll need to block out a good hour to make sure we catch up on everything we’ve missed over the years”, so I put it off until “just the right moment”. Which only comes every blue moon. (When is the next blue moon?) So I thought I’m going to try “shorter and sweeter” to start with. I decided I didn’t have to put everything in that first letter. It’s the psychology of it because inevitably as soon as I put pen to paper I’ll find all sorts to tell my old school friend from 36 years ago who moved to America when I was about 10. I found her online. She now has 5 children. How did that happen!? (I mean rhetorically.) It’s the starting that can be such a stumbling block, but once I do it’s lovely. 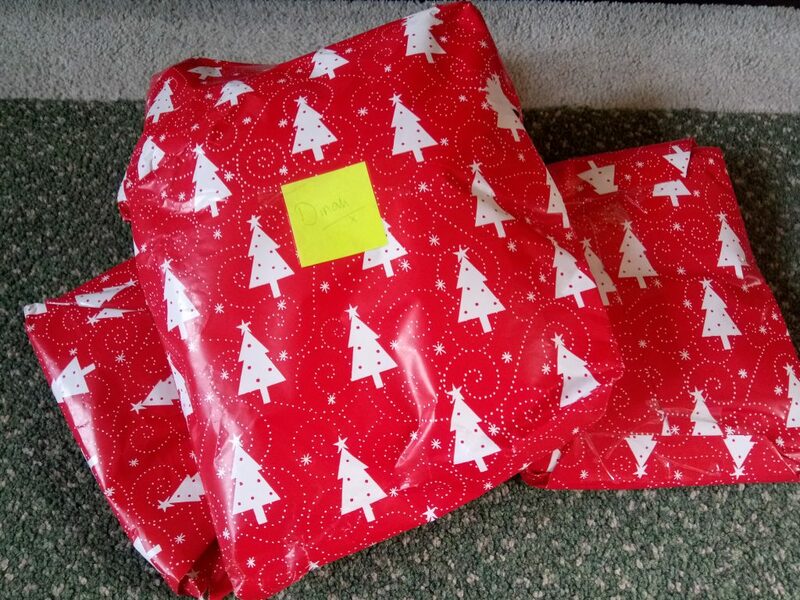 With regards to thank you letters as well, not wishing to guilt anyone into writing them but even if the present was hideous and went straight down the charity shop, 1) the person did spend actual money on it, and 2) by writing a letter they’ll learn more about us and hopefully choose something we like next time. I know thank you letters can feel like an “ought to” rather than a “want to” sometimes but I think if we focus on the person rather than the gift we can change the whole mindset around. Couldn’t we? However if I can get my kids to write their thank yous I would like a medal. Wish me luck!